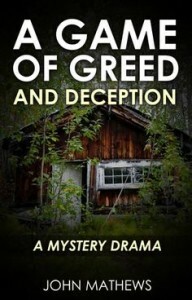 The following is a guest post by John Mathews, author of A Game of Greed and Deception. If you would like to write a guest post on my blog, please send me an e-mail at contact@cecilesune.com. It’s 2015 and you’ve probably made a mental list of what you hope to accomplish and improve upon in the next year. If you’re anything like me, you want to make changes that create lasting improvements in your life. One of the most rewarding things you can do is to get your voice heard and share your experiences with others. A great way to do this is by writing. So what is holding many of you back from actually putting your thoughts, opinions, and experiences into an ebook or blog post? Maybe you just can’t seem to get started. That feeling of frustration and not knowing what to write about and how to get the words flowing is called writer’s block, and I am here to tell you how to beat it. Create a list of ideas. Just take a pen and piece of paper and jot down things that you could write about. What do you think about often or have a passion for? Do you want to share real life experiences or tell a story? After creating a list of ideas and some details about each of them, you can consult this list later when you are ready to start writing. Brainstorm when you are doing random activities. Take it from me, writing ideas will come to you at the strangest times. Something you see or remember will suddenly give you an idea of something that you can write about. This could be a movie, shopping trip, chat with friends, dinner out – there are infinite possibilities. I get the best writing ideas brainstorming just before going to sleep at night. Look at what others are writing. Check out some good blog posts on topics that interest you. Look at a list of best-selling books. What other people are sharing and writing about can give you some insight and spark some ideas of your own. Start a diary. Writing down events as they unfold in your daily life can be powerful, and you can easily reference this list later. Stop procrastinating. We all hate to admit it, but procrastination is the ultimate deterrent to accomplishing anything. Don’t make excuses and think that you have to set aside big blocks of time to write. Keep jotting down ideas during your free time, no matter how little that might be. Then get to it, and use the rest of your free time to write! So don’t wait any longer – make 2015 your year to start writing and making a difference. Beating writer’s block is easy if you decide that being a writer is really important to you and part of how you want to express yourself. This is a resolution you can accomplish! 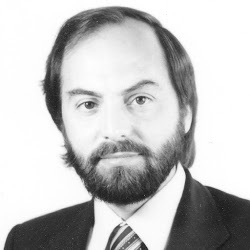 John Mathews is a tenured University Professor of English and living in Rome, Italy. Immersed in a long and somewhat stressful career, he feels the desire to break out of the mold and delve into macabre thriller fiction novels which focus on the dark side of human nature. He writes captivating thriller and suspense fiction books with the goal of pulling the reader into the plot through the minds of unforgettable characters. Complete with great suspense, plot twists, and shocking scenes, his stories will keep you guessing until the very end.